The Ghana National Fire Service (GNFS) says there was a reduction in fire outbreaks in the first two weeks of January 2016 compared to the same period last year. According to DOII Timothy Osafo-Affum, acting Public Relations Officer for GNFS, the reduction was as a result of on-going fire safety campaigns across the country. DOII Osafo-Affum, who was speaking to the media yesterday, said in fire prevention, protection and precautionary measures were crucial. “It is heart-warming to note that our previous and current efforts are steadily yielding dividends, a comparative analysis of major fire outbreaks shows that there has been a radical reduction in the first two weeks of January 2016 as compared to January 2015,” he stated. 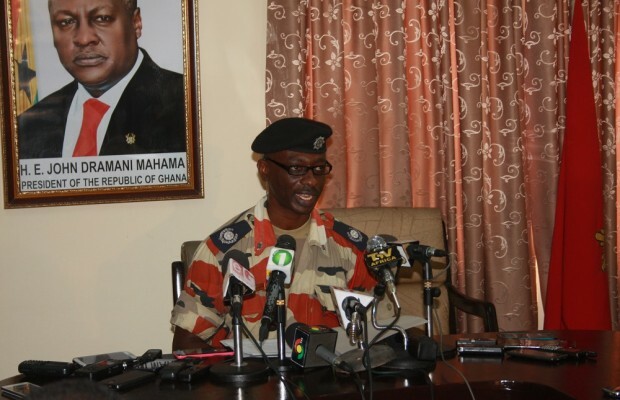 He added that from January 1-10 this year, the Greater Accra region recorded 51 fire outbreaks, which represented a drastic reduction over that of 2015. DOII Osafo-Affum said trend analysis of fire outbreaks showed that the months of November and February each year was the peak period for fire outbreaks. “The recent fire outbreaks at the Kumasi Central Market, Kumasi Kayayei, Tuobodom Senior High School, among others, have raised public concerns about fire safety in the country. Fire safety is therefore a shared responsibility of all stakeholders and the general public; so if we want to see an end to these preventable fires, then the public has a bigger role to play. This is because they are closer to the ‘flash-spots’ across the country than the fire personnel,” he added. The Acting PRO disclosed that the Harmattan season reduces the temperature of all combustible materials making them burn at a certain temperature. “The GNFS has consistently been up to the task, honest market women and men, the clergy and traditional leaders can bear us witness. To the best of our professional capabilities and resource-availability, we have always executed proactive strategies to forestall fire outbreaks in Ghana. Apart from forming taskforce and training 500 Fire Volunteers to augment the existing ones to patrol and monitor areas deemed to be fire-prone, we intensified our fire safety education and awareness in churches, mosques, market-places, lorry parks and rural communities in order to ensure effective and efficient control fire,” he said. DOII Osafo-Affum urged the general public to report any recalcitrant individual, who consciously or unconsciously causes fire outbreaks.